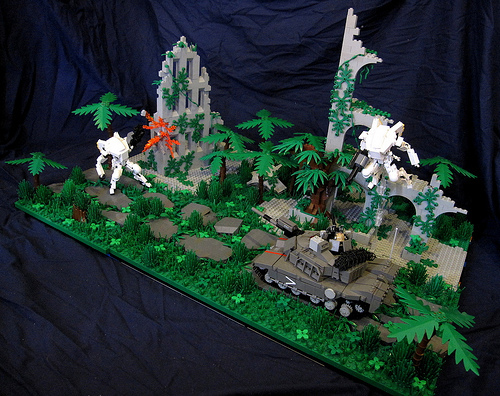 Carter Baldwin presents a jungle ambush scene involving the attack by two suited mechas on a tank. The action is well defined and the jungle ruins atmosphere is no short of exotic. I really like the broken, over grown road in this. And the ruins, simple but very good. The road plates embedded in the grass are great.